Frynge web design can really help you get started if you're a local business in Regina Saskatchewan. Our firm will take care of all your web design needs, so you can concentrate on what you do best, your large or small business. We offer professional Regina web design, hosting in Regina, advertising, graphics, ecommerce and we can create content management so you can update your own web design and do your own website maintenance. At this point, please go request a free web design quote at no obligation to you, so you can find out exactly how much your project will cost. 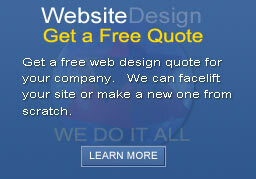 Feel free to browse our quote area and request a web design quote or a web site facelift / redesign. We offer some of the best prices in Regina Saskatchewan, for flash design and animation, php and asp programming, hosting and more. Do you need web hosting and looking for servers in Regina Saskatchewan? We can help you. We have a solid network with great customer support. Web hosting is where your site is stored on the internet 24/7/365 and we have the best hosting in Regina Saskatchewan. 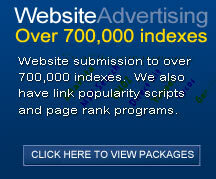 Our cheap web hosting package have been approved by Web Hosting Search. If you have a web site in Regina and you want to make it look better (web redesign), come check out our web facelift and redesign area. Are you looking to upgrade your graphics? Looking for a site designed with flash animations, or a flash banner / logo? If so, check out our Regina web design portfolio. You can always request a quote and we will get back to you as soon as possible. Frynge web design helped me to setup my first website. When I had questions they answered within hours, even after hours. I have not had any downtime on the site and only positive responses from customers who have visited the site. I know that after doing business with Frynge web design, I will not be looking for another provider. I looked all over Regina Saskatchewan and finally found the Frynge. The Frynge web design has over-delivered on all my web design needs. From competitive cost, to brilliant web design and unwavering support. Again thanks! Can't believe I lucked out and found the best web design company in Regina my first time out. I look forward to a long business relationship with Frynge Web Design. The Frynge designed Mario Molinari website. He is a local Author and his site was a beautiful static web site with great content. The Frynge is designing, hosting and advertising Remax website for Darren Copperman. It consists of a real estate listing, flash web design, a members area, MLS listings and video. The Frynge is providing hosting, web design and advertising for Brisam Corp., in Regina Saskatchewan. We are providing a full web redesign and back end functionality. The Frynge is completed a new design for CSR Energy. A furnace company located in Regina Saskatchewan.